News: Southern Kings edge nearer Super status? A trio of young guns are the latest additions to the Melbourne Rebels squad ahead of their entry into the Super 15 competition next year. The signings are headed by 19-year-old JP Du Plessis who switches from NRL side Sydney Roosters and he is joined by 21-year-old Australian 7s back Nicholas Phipps and 22-year-old Hugh Pyle who joins from the Brumbies' Academy. Du Plessis' rugby roots originate in South Africa where he appeared for the national U18s side before attracting the attention the Roosters and opting for a switch to the 13-man-code. "I miss Rugby Union, I've played it all my life and looking forward to playing it again," said Du Plessis after confirming his latest career move. "I've really enjoyed my experience with rugby league, but can't wait to play Super Rugby with the Melbourne Rebels." Rebels assistant coach Damien Hill welcomed the youngsters decision, adding, "At just 19 years of age, JP has excellent foot work and acceleration. He's a balanced runner who plays inside and outside centre and wing." Hugh Pyle comes to the Rebels from Canberra and joins another former Brumby in the form of Julian Huxley. Rebels assistant coach Mark Bakewell has great hopes for the young forward, commenting, "Hugh comes to the Rebels as a player with enormous potential. He has all the physical and technical attributes to evolve as a star of the tight five in the Melbourne Rebels franchise and Australian Rugby. We are very pleased he has Melbourne to develop his talents." he said. 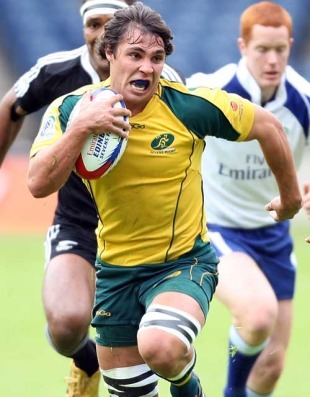 Nick Phipps competed in the IRB Sevens World Series after a strong year in 2009 captaining Sydney University's Premiership-winning 1st Colts team. The Uni youngster made his Sevens debut during the season opener in Dubai and made the most of his opportunity, scoring a try and kicking eight conversions. "I am very excited about joining the Melbourne Rebels and the opportunity playing in the new Super rugby side presents me," said Phipps. "I'm very impressed with the way the club is structuring things and very much look forward to learning how to improve my game from Sam Cordingley, Richard Kingi and Julian Huxley." Hill was also delighted to welcome Phipps into the squad mix, adding, "Nick is a great product of the recent success of the Australian Sevens program and has been selected as a member of the Australian squad to compete at this year's Commonwealth Games. He demonstrates many of the attributes we have been targeting for our squad; athleticism, leadership skills and a desire to integrate into the Melbourne community."